My goal each night is to go to bed early. Never happens. Especially during the Christmas season. The to-do list never ends and I just want to get it all done. If I don’t, who will? Have I mentioned I’m a control-freak, perfectionist? I don’t think I have time to rest when so much needs to be done CORRECTLY. So there is no time for rest. 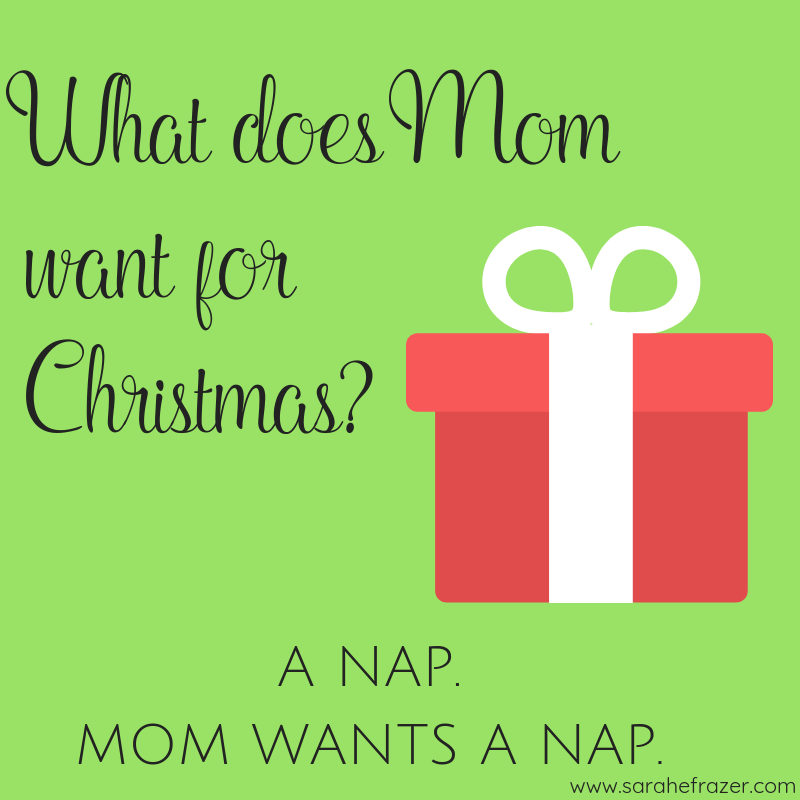 And all I really want is a nap. My husband struggles with what to fill my stocking with – and if he could fit a nap in there I’d take one a day please! Unfortunately, naps are rare these days for me. Being a busy mom isn’t so much about my schedule, but about my heart’s pace. You see, this life isn’t a race with a finish line. Its a journey we walk through. And God is speaking to me in this season of my life. Soon, too soon, my children will be grown and I will be alone, maybe a widow, with most evenings alone. I will long for the busy and hustle and bustle of the season. I’ll soon have time for naps again, and then I will miss the time I didn’t have time for naps. Motherhood is short; but eternity could be around the corner. As I plan out my goals for 2019, I’m realizing what I do now will make a difference for what I am going to do when I’m eighty. Do I want to spend my thirties, forties, and fifties rushing and planning and never resting? But my heart still craves rest, and I don’t think I can wait until my life “slows down” to find it. The rest I’m looking for doesn’t descend upon me once when my work is finished. Instead, it comes slowly when I am willing to allow the present to be imperfect. That phrase is one I’ve held onto for many years now. It’s from a little book called Choosing Rest written by Sally Breedlove. Resting in the midst of the imperfect. As a perfectionist this seems impossible. I mean 100% impossible. But God is calling me out on my control-freak tendencies. The presents don’t need wrapped perfectly. In fact, its ok to patch them up with tape if they rip by accident. If I do zero baking this year, will people die from lack of cookie intake? I don’t think so…..And the number on the scale will probably thank me in January if I skip the Chex Mix this year. If we have no homemade ornaments from this year, will we notice in 20 years? I doubt it. And what I want to be remembered for is not the mom who loses her cool because things aren’t perfect. 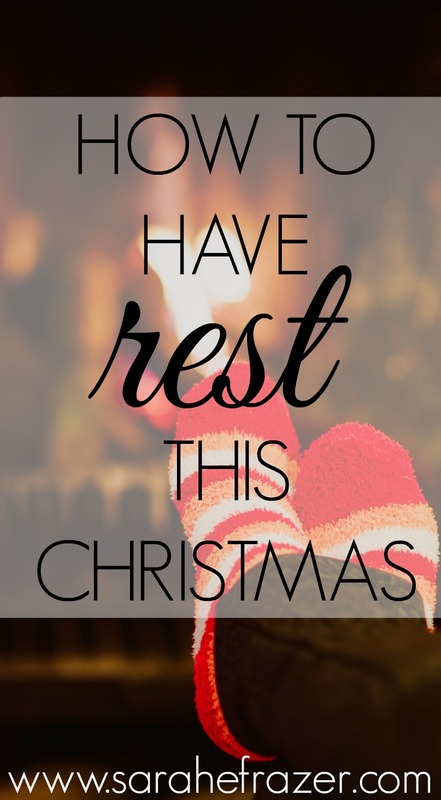 What I want to remember is I can be the mom who is rest-filled. My children are frantic sometimes and I think they reflect me and my heart. Learning to rest in the imperfect is a deep issue for me. And ultimately for me, learning to rest and be at peace in my soul when things in my life aren’t neatly wrapped with a bow, is about trust. Trusting God to speak into the mess of life and still make miracles happen. I doubt Mary had her life together before the angel visited her. In fact, I truly doubt she had her life together in the stable that cold dark night she held her infant for the first time. Instead, God was with her – no matter the circumstances. And in-spite of the outward, I can have peace. Do you need some peace this holiday season? Download my most popular study. Join hundreds of other readers who have taken the challenge. The path to peace is closer than you think. « What Does Immanuel Mean?